Questions Archives - HexByte Inc.
Before they hand control of the House of Representatives over to Democrats, House Republicans are mounting one more effort to hold Silicon Valley giants accountable for what they say is rampant liberal bias at tech companies. In the hot seat this time: Google CEO Sundar Pichai. On Tuesday, Pichai will testify before the House Judiciary Committee in a hearing focused on transparency, data collection, and filtering. 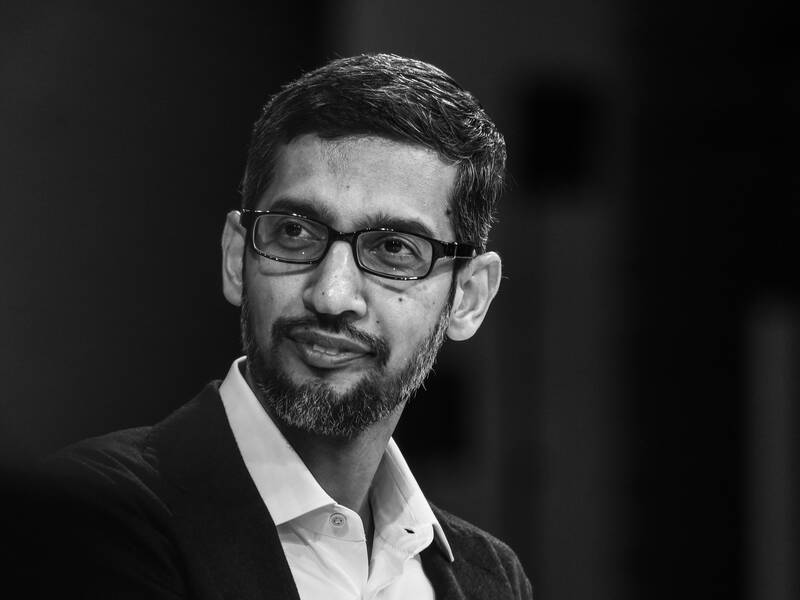 Until now, Pichai has mostly avoided the public lashings in Washington that his contemporaries, like Facebook CEO Mark Zuckerberg and Twitter CEO Jack Dorsey, have received. In September, Google declined to send either Pichai or Larry Page, CEO of Google’s parent company Alphabet, to testify alongside Dorsey and Facebook chief operating officer Sheryl Sandberg before the Senate Intelligence Committee. Senators instead vented their frustrations with Google to an empty chair, artfully reserved with a name plate for Page. Pichai has since held closed door meetings with leading Republicans, including House majority leader Kevin McCarthy, who has repeatedly accused Google of skewing its search results in favor of Democrats and their causes. Both McCarthy and Judiciary Committee chairman Bob Goodlatte have signaled that these charges will be central to the committee’s questioning. That won’t likely stop conservatives on the committee from crying censorship. As with so many of these hearings, you can be certain there will be plenty of partisan grandstanding. But for those lawmakers interested in doing more than pandering to the party, there are plenty of pressing questions regarding the way Google works. Congress should want answers. Here are just a few. Why did Google change its mind about pursuing business in China? Google has faced vehement opposition from employees and members of both parties over its plans to explore building a censored search engine for China, which was first reported by The Intercept this summer. After all, the company loudly shut down its Chinese search offerings in 2010 over concerns about censorship. Now the question is: What changed? So far, Google executives have been tight-lipped about the program, called Dragonfly. At the Senate hearing where Google was a no-show in September, senators condemned Google’s renewed interest in China and suggested it was one reason top executives declined their invitation. During a second hearing with the Senate Commerce Committee later that month, lawmakers repeatedly pressed the company’s chief privacy officer, Keith Enright, to tell them more about Dragonfly. Enright mostly repeated a vague talking point. And yet, there are still so many unanswered questions. Pichai also told WIRED that the Dragonfly experiment showed that in China, Google would still be able to carry out “well over 99 percent” of people’s searches. The more pertinent question, though, is what types of searches are prohibited? And why does Google feel that amount of censorship is palatable? Then there’s the question of what access the Chinese government will have to people’s search history. According to The Intercept, the Dragonfly system requires users to log in to perform a search, tracks users’ locations, and shares data back with a Chinese third party. Google has scarcely commented on these particulars. With Pichai under oath, lawmakers could change that on Tuesday. What is Google doing to prevent new ad fraud schemes popping up across its platforms and Android apps? Then just last month, Google removed two apps from the Play store that Buzzfeed News also found to be committing fraud. These apps, based in China, were tracking users’ app downloads, falsely claiming credit for the downloads, and then banking the referral fees from those apps. In both cases, Google removed the apps involved in the schemes. The company also assisted the US government in its investigation into criminal ad fraud rings, which resulted in eight indictments late last month. But questions remain about how these scams fell through the cracks in Google’s security system and what should be done about it. Senator Mark Warner, vice chair of the Senate Intelligence Committee, has been pressuring the Federal Trade Commission to hold Google accountable for these cyber crimes. Members of the House could amplify that pressure. When did Google first understand the extent of Google+’s vulnerabilities, and why didn’t the company act faster? On Monday, just a day before Pichai was set to testify, Google announced that a Google+ bug exposed data from 52.5 million accounts. It’s the second Google+ exposure discovered this year. In October, The Wall Street Journal reported on another bug that exposed 500,000 accounts, which Google had previously kept quiet to avoid “immediate regulatory interest,” according to a company memo obtained by the Journal. That same month, Google announced it would be shutting down Google+ for consumers in August of 2019, due in part to security concerns unearthed during a company-wide privacy and security audit. But the most recent breach, which resulted from a November software update, hastened that timeline: The company is now pulling Google+’s APIs within 90 days. The question for Pichai is how early Google became aware of Google+’s many vulnerabilities and why it didn’t move sooner to protect its users. Why does Google track location data of users who have location history disabled? An Associated Press investigation in August found that Google tracks smartphone users’ location data, even when those users have turned off the Location History setting on their phones. At the time, Google’s support page claimed that “With Location History off, the places you go are no longer stored.” After the AP report was published, the company updated the language to say, “Your settings for other location services on your device, like Google Location Services and Find My Device, are not changed.” This impacts Android users and iPhone users who have the Google Maps app. Google said it collects this data to “improve people’s experience” and allows people to delete this history whenever they want. And yet, the off switch is buried deep in users’ Google account settings, not to mention the fact that users who have already disabled their location history might reasonably believe that applies to all location history. At a hearing ostensibly focused on transparency, the difference between consumers’ privacy expectations and Google’s corporate practices seem more than relevant. Speaking of privacy, what does Google want out of a federal privacy bill? Tech giants have been lobbying hard for a federal privacy bill that would supersede a stricter bill set to take effect in California in January 2020. Google has released a policy paper outlining in broad strokes its vision for a federal law. A law should “mandate transparency and help individuals be informed” and require companies to “collect and use personal information responsibly.” But the paper offers few details about what that would mean in practice. What level of control should consumers have? What limits should there be in terms of the amount and types of data businesses can collect on people in the first place? How would those limits change the way Google does business? Who should enforce such a law, and how should violators be punished? You can be sure these are questions that Google’s lobbyists are already asking and answering behind closed doors. As the law takes shape, it’s in everyone’s best interest to get them out into the open. What a disastrous start. Resist the urge to be the kind of person who always seeks approval and affirmation. TIP: With each question try to cut the number of possibilities in half. Although ‘the earth’ does not account for half of the known universe, The Answerer is very biased towards choosing earth-based items. META TIP: Try to play the game with people who know the least number of THINGS. I cannot stress this enough. The narrower any player’s vocabulary, experiences, or imagination, the narrower your possibility space and the easier your task. This tip works on the premise that it is generally considered unacceptable to pick items which any player is unaware of. A cheeky question. This smuggles two questions into one, since technically by this point it has not been established that the item is an ‘object’ instead of something like ‘a feeling ‘ (for example: ‘remorse). We’ve also got more information than we may at first think, since now we know that the item is not a person. Yet beware: there will ALWAYS be a difficult character who insist that human beings are man-made. Please note that occasionally I will write ‘! !’ and give supplementary notes on how the game ’20 Questions’ is meant to be played, i.e. I will try to write the unwritten (and thereby unacceptably vague) rules of the game. Why on earth people play games with undetermined systems of rules, I confess I have no idea, but my sister seems to derive a particularly large amount of satisfaction from playing fast and loose. I don’t generally like to name and shame people but it’d be unfair on my other sister to taint her with suspicion; I am talking about Rosanna. !! This is an example of where you have to check your moral compass. Is it ethically justifiable to ask a loaded question like this? Only you can decide these serious matters. This was the first good, and morally non-dubious question. It eliminates a great swathe of items and gets right to the point. Although this looks like a shot in the dark, it was in fact an ingenious question. All of The Questioners could finally breathe a sigh of relief in the knowledge: this is not going domestic. TIP: Cut nature at the joints. Nobody is going to benefit from questions half-way along something, keep your knife well sharpened and make one clean cut. TIP: I am assuming you are playing with a team of multiple Questioners. It is crucial – for both your success and the spiritual wellbeing of the team – to raise and deliberate contender questions. This question was only asked after a string of unrepeatable questions that would have got the Quesioners no closer to their goal. Most of the poor questions here were asked by rogue Questioners going it alone. !! You will have to decide amongst yourselves whether you allow words like ‘typical’, ‘ordinary’, ‘average’ and so on. One man’s ‘typical’ is certainly not another man’s ‘typical’, and we all know from school mathematics (hopefully) that there are at least three averages (by the way, ‘range’ is not an average). Right, now we’re flying high with clear, quantitative questions. !! No game has required me to explain the difference between ‘mass’ and ‘volume’ quite as often as ’20 Questions’. Always disambiguate the questions so that you don’t get caught out later. !! A seasoned Answerer will always ‘Pass’ if given insufficient detail in the question. Two things: firstly, a pass does not count as a question. Secondly, don’t throw the baby out with the bathwater: a clear reformulation of the question will pay dividends. I’m still recovering from hearing this question. This question screams: ‘I despise and am fearful of all things modern and scientific’. It eliminates almost nothing. Yuck. An OK question, but are there that many things priced over £1000 that are not made of metal? Half of the possibilities? These are the worries you need to concern yourselves with. The person asking this question thought they were being a maverick, but they would better be described as a loose cannon. It was embarrassing. !! You have to establish early on whether or not it’s acceptable to blurt out questions. This was clearly an ‘item guesser’ or an ‘endpoint question’ rather than a ‘field narrower’. If you do have a serious ‘item guess’, get it verified. I mean, come on, it would be amazing if the only thing on the planet earth, fashioned out of metal, operated by a professional, found possibly at the house of the family of a child attending Hogwarts, and costing over £1000, was The Underground. TIP: Don’t be afraid to throw in a disjunction, such as ‘Is it used for transportation OR healthcare’? Remember the golden rule: try to halve the possibilities with every question. Probably ‘question of the match’. A turning point. TIP: Put all your creative efforts into eliciting hesitation. Then submit to the power of inference. !! Make it clear to the Answerer that: simulated hesitation is NOT allowed. I once played with someone who ‘won’ but later confessed that they had intentionally dropped some hesitation down to act as diversionary crumbs. They were not welcome guests for long. ’20 questions’ is a competitive game but with cooperative principles. A double-whammy of straightforward field-narrowing. TIP: Continually re-evaluate past discoveries. Poirot would have been in his element in ’20 questions’. One wonderful question; one outrageous question. The second question was a definite blurt which left the Questioners with only three final opportunities. Things were getting sweaty. TIP: If a fellow Questioner says things like ‘It has to be a cannon or a catapult’ then question them directly: does it? Does it? A superb question. This now left very few options which did fit with all the earlier responses. Another ‘blurt’. And not a weapon of mass destruction by any definition. Congratulations to The Questioners. It should be obvious that this point could’ve been reached about 5 questions earlier with just a modicum of skill and forethought. Hopefully now you will have this advantage when you play ’20 Questions’. Have any tips of your own? Please add them to the ‘Comments’. Playerunknown’s Battlegrounds—or PUBG, as fans know it—has fundamentally overhauled the gaming landscape since its release less than a year and a half ago. By popularizing battle-royale gameplay, it gave rise to Fortnite and an entire generation of similar titles, selling more than 50 million copies in the process. Yet, PUBG is also still very much a work in progress. That’s not a critical statement; publisher PUBG Corp. pushes updates for the PC and mobile versions and Xbox preview title regularly. The game’s ceasless evolution and improvement has created a stable, fervent user base—a base that’s not shy about asking for new features. Thankfully, lead designer Brendan Greene (PlayerUnknown himself) is all too willing to answer those questions in our ask-the-devs series, Tech Support.